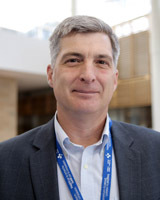 Dr. Fergusson is a Senior Scientist & Director, Clinical Epidemiology Program, at the Ottawa Hospital Research Institute. He is also a Full Professor, Departments of Medicine, Surgery, & of Epidemiology and Community Medicine, University of Ottawa. Dr. Fergusson holds the position of Endowed Chair, OHRI/uOttawa, Clinical Epidemiology Program. He holds a PhD (Honours) in Epidemiology and Biostatistics from McGill University and a Masters of Health Administration from the University of Ottawa. Dr. Fergusson’s clinical research interests are mainly in the field of transfusion medicine with a focus on transfusion alternatives and the effectiveness of blood products. His research interests also extend to the methodology and ethics of clinical trials and systematic reviews. Dr. Fergusson is a principal investigator on a number of large, peer-reviewed clinical trials in transfusion medicine including “Blood Conservation Using Antifibrinolytics: Randomized Trial in High-Risk Cardiac Surgery (BART)”, Age of Red Blood Cells in Premature Infants (ARIPI), “Age of Blood Evaluation (ABLE)”. Dr. Fergusson has contributed over 350 articles, abstracts, and book chapters to the medical literature.